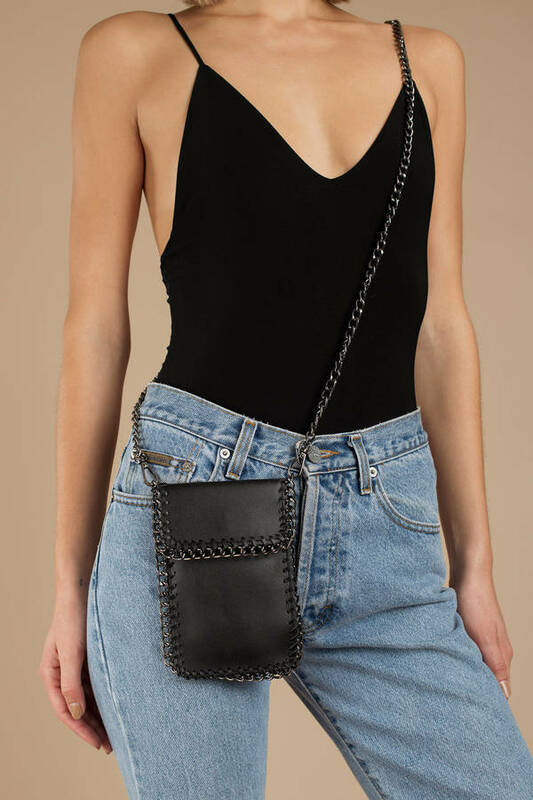 Check out Tobi's Leila Cell Phone Crossbody Bag Minimalist at its finest when it comes to the Leila Cell Phone Black Crossbody Bag. 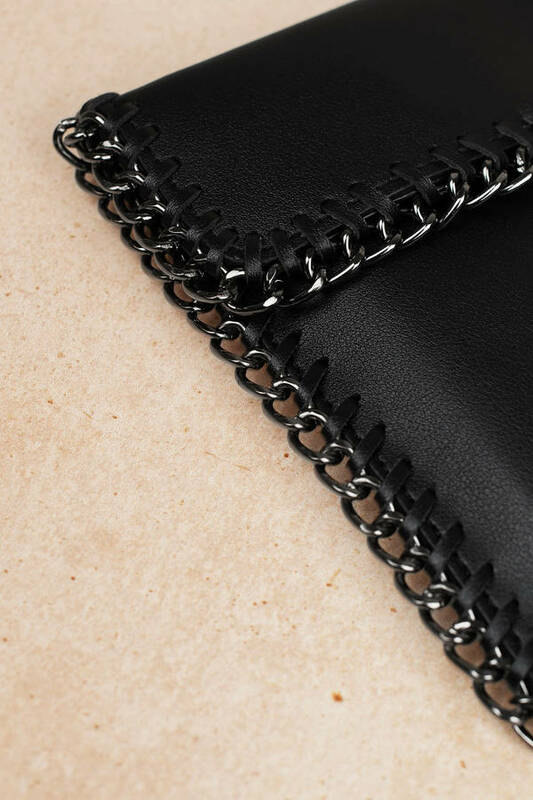 Perfect for going out with less, this bag is large enough to fit your phone, cards, and keys, and the chain strap and metallic details on the bag will give any outfit a bit of edge. 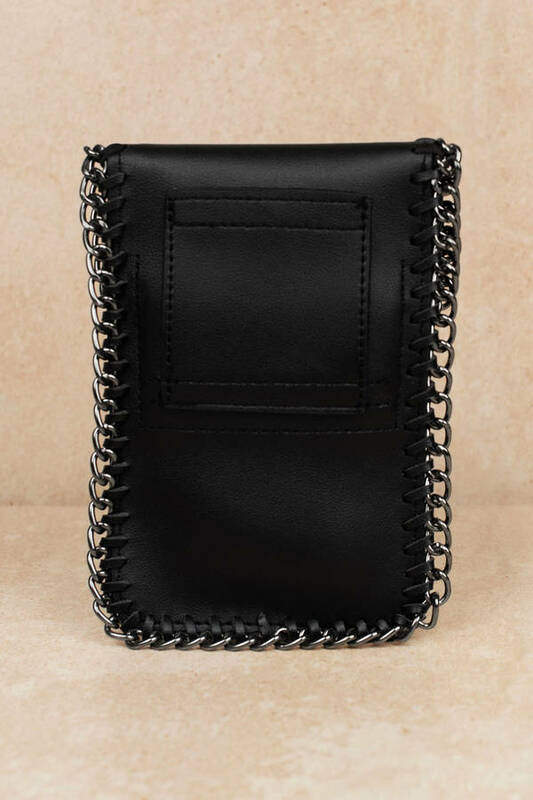 Minimalist at its finest when it comes to the Leila Cell Phone Black Crossbody Bag. 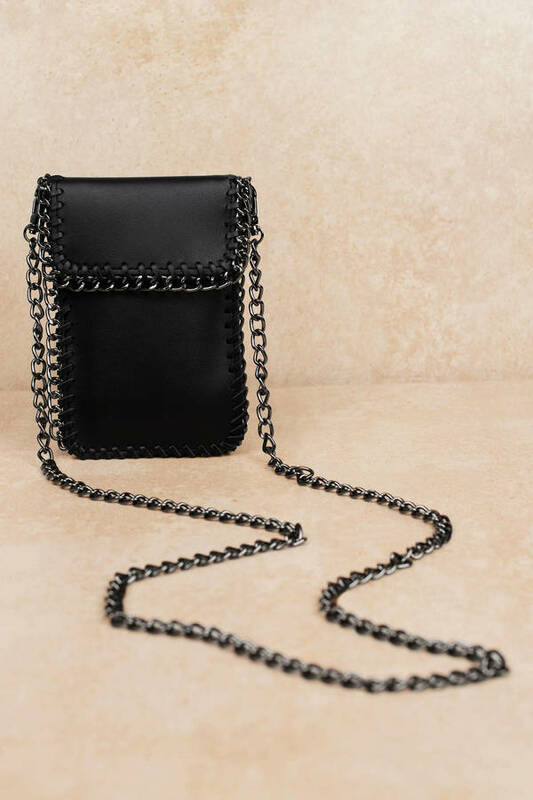 Perfect for going out with less, this bag is large enough to fit your phone, cards, and keys, and the chain strap and metallic details on the bag will give any outfit a bit of edge.